Keeping up with major enforcement actions, AML trends, and regulatory developments is always a challenge for compliance professionals. 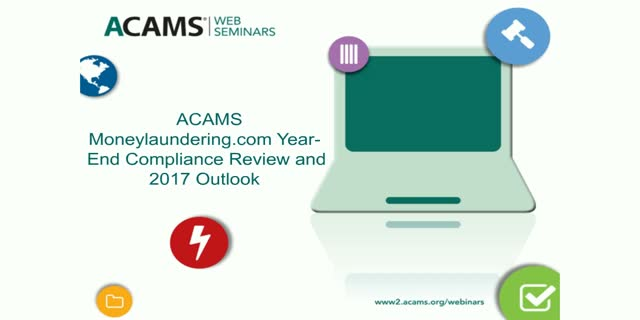 Join this panel of experts as they assess the most important developments in the United States and globally in 2016 as covered by ACAMS moneylaundering.com. And, prepare for 2017 as panelists share what they think will be the most urgent issues facing the compliance community in the New Year.